You can likely use any website creator to make a digital breakout, but Google Sites is probably the best option and it is what I use. It's free, you have access to it if you have a Gmail account, it's straightforward and simple to use, and you'll easily be able to integrate a Google Form, which acts as the digital "lock" for the breakout. Your Google Form can have as many "locks" in it as you'd like. A "lock" is a field where students will enter a code. The code can be numbers, letters, or some combination of both. You can find a video tutorial about how to create a Google site here, how to embed items from Google Drive into your Google Site here, and how to create a "locked" Google Form here. Think about the information you want to include in your breakout. What do topics do you want students to learn about? What skills would you like them to practice? Do you want them to read an article about an author's life? 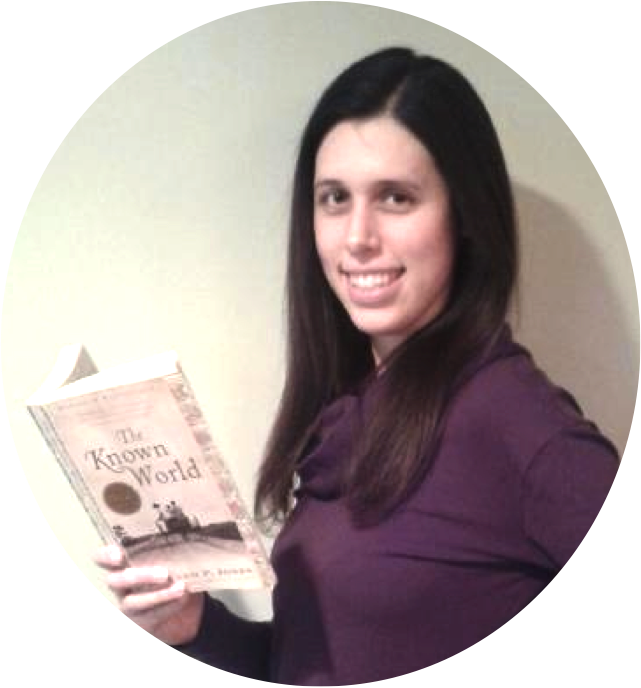 Do you want them to review Greek and Latin roots and their meanings? Once you have some ideas of what you want students to do, you can start to think about how you will lead students to those pieces of information and/or tasks. In a digital breakout, you usually want to lead students to one of three places. 1. You can lead them directly to a code that will open a lock. 2. You can lead them directly to a clue that will help them figure out the code to open a lock. 3. You can lead them to another URL that will give them a clue to help them figure out the code to open a lock. There are a few different ways to lead students to these three things. One way to lead students to information or a task is by using text. You can put text directly on the main page of your Google Site or create a Google Doc and link that to the main page. Be sure to make the sharing permissions of any Google Doc "View Only" so students don't accidentally edit it. You can also create a link that forces students to make a copy of the Doc which they can then edit. You can also create fake emails, fake text message conversations, fake concert tickets or airplane tickets, fake store receipts, fake newspaper articles, or fake, signs, ransom notes, or diplomas. You can then embed an image your fake item on your Google Site. Another way to lead students to information is by using resources that already exist on the internet, like articles, videos, songs, etc. Find articles, videos, or songs that relate to the topic or skill your breakout is focused on. In an article, find a key word or important number to use as a code to unlock one of the locks. In a video or song, look or listen for a key word or important number to use as a code. Since articles, videos, and songs are all things you cannot edit, you need to include a link to these types of resources somewhere on your breakout site. You can link text or images on Google Sites. This video shows you how to embed a link in text and the process for linking an image is similar. If you are sharing a link to a video, you may want to run it through SafeShare.TV to remove any advertisements and comments to prevent your students from being exposed to inappropriate content. You can also edit the description of the video with SafeShare.TV to include a clue or code. Just be sure that your district does not block the site. You can also lead students to information by having them answer questions about information they've read, watched, or listened to or by having them answer questions that allow them to practice a skill. 1. Have a series of multiple choice questions in a Google Doc with the answers spelling out a code (i.e. ACDBA). 2. Create a letter/number code to accompany several questions. Beneath each letter of the answer, have a corresponding number. I create a table with two rows in a Google Doc with students spelling out the answer in the top row and the corresponding numbers below. You can then give a series of numbers at the bottom of the Google Doc that will spell out a word that has no question accompanying it. Students will have to use the letter/number combinations from their other answers to figure it out. 3. Create a quiz using Google Forms. Once students have correctly answered all of the questions, you can give URLS, clues, or codes in the feedback when they view their scores. 1. Hide words in a mandala or a snote. There's tons of other ideas and resources shared here on the Breakout EDU site. Good luck planning and creating your own breakout! You can find all of my breakout resources here. I'm also happy to take requests or collaborate on creating one; just send me an email. I absolutely love this! 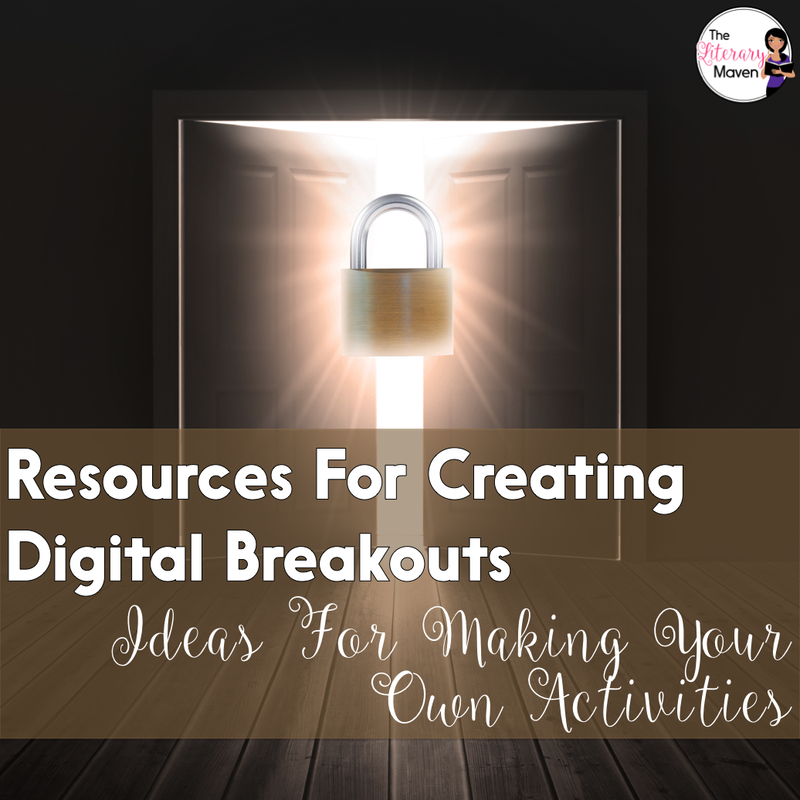 I especially love the idea of having the students create their own digital breakout! This would be great for an end of year project. Thanks so much for sharing!!! What's the trick for getting the jigsaw to reset before students access it? When I embedded it and clicked to make sure it worked, the finished puzzle showed up. Thanks for your help! Are you using Jigsaw Planet or Google Drawings to create your puzzle? Feel free to email me directly at brynnallison@theliterarymaven.com. I'm having the same problem with Jigsaw Planet. Once someone at the link has completed it, it saves the progress. So when another student clicks it, they already have a finished puzzle. Is there a solution for this? I use Google Drawings to create my puzzles, so I'm not sure what the solution is for Jigsaw Planet. Are you part of the Facebook group for BreakoutEDU? You could see if anyone in that group has any ideas. I am having the same problem with a Google Drawing activity. How do you get it to reset? Are your students working on your original or with a forced copy of the Google Drawing? Feel free to email me at brynnallison@theliterarymaven.com with additional questions.